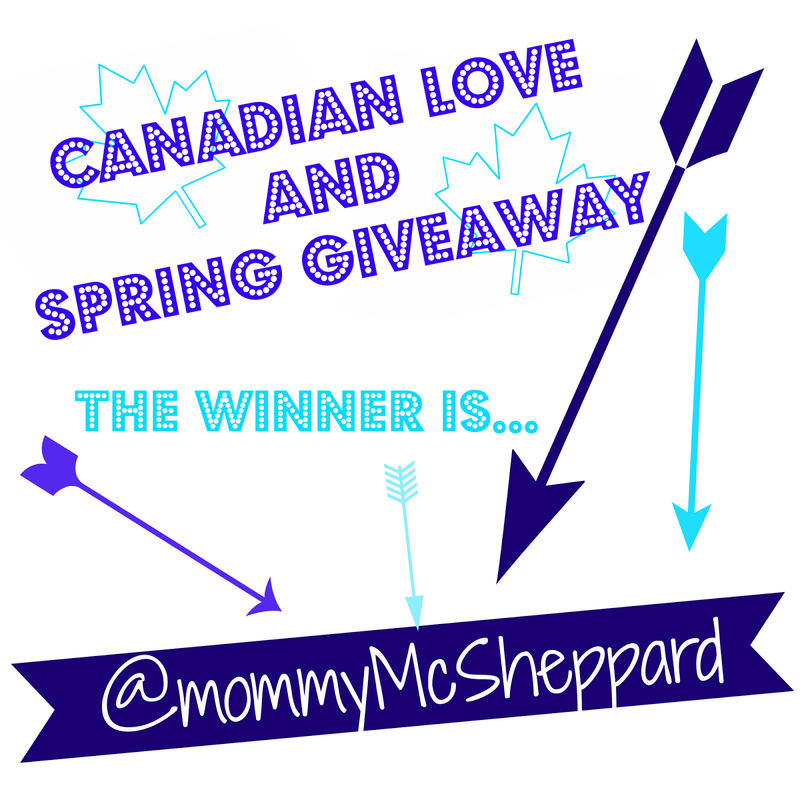 Canadian Love & Spring Giveaway! I love Canadian companies, probably because I am Canadian and I love supporting local businesses. Most of my lovely readers know that I am not only a blogger but also one of the owners of The Styled Child Shop, a store for stylish accessories for kids. When my daughter was born I found it difficult to find great headbands and clips. Most were to fancy for everyday wear, to girly for my tastes, some not my style, and some that look like an adult should be wearing them! Not a child! So my good friend Angela and I decided to start The Styled Child Shop because we found it difficult to find stylish and modern accessories for our two daughters. We felt that everywhere we looked, we found the same things. Yes we have your typical headbands, but most are our own designs! Angela and I have different design aesthetics which enable us to appeal to multiple tastes. We also hand make our accessories and can create custom pieces. The Styled Child Shop is also known for their custom made to order Birth Posters, a top seller! You can check out our online store here! 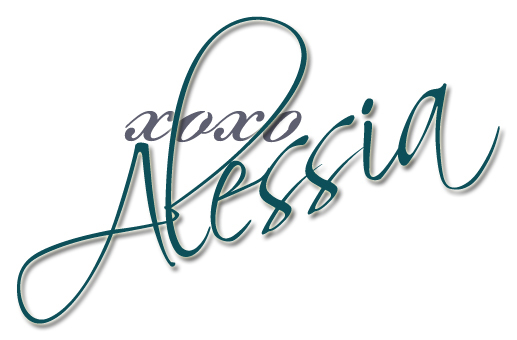 I want to familiarize my readers with some great quality Canadian products for kids and adults. In past posts I featured Pixel Paper Hearts and Whistle and Flute, both amazing Canadian business. 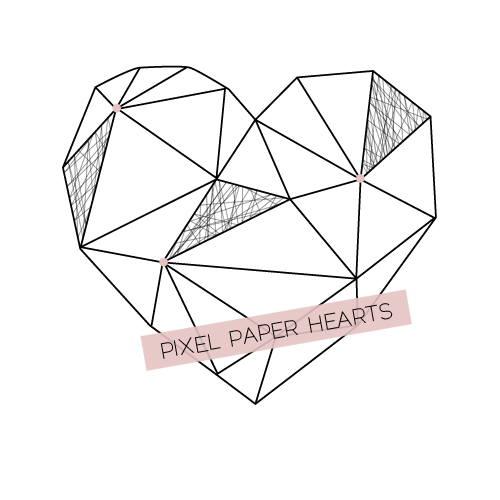 Pixel Paper Hearts creator Charisee wanted to share her love for paper goods and words! She creates whimsical and modern wall prints with her favourite quotes and words. Whistle and Flute, is a clothing company in Vancouver run by a wife and husband team who screen prints designs on t-shirts, sweaters, and totes. They are well known for their Kawaii Cloud and Je T’Aime print. Some of my other favourite Canadian companies include Vonbon Apparel, Thief and Bandit, Baby Munchkinz and Silver Lullaby Studios. Vonbon Apparel was created by two stylish sisters that were tired of buying traditional baby gifts. With their love for fashion, they design and create quality eco-friendly goods that are appropriate for either gender, any age and all homes. Thief and Bandit was started by Nova Scotia Artist Amie Cunningham. Amie a mother of two who is also a woodcarver and designer. She designs and prints her own fabrics and creates clothing for kids and women. Baby Munchkinz, another company run by mom Jessica. Jessica cuts, sews and ships all her own accessories and clothing for children. She also has some great mommy and me matching accessories. Everything is handmade with love. 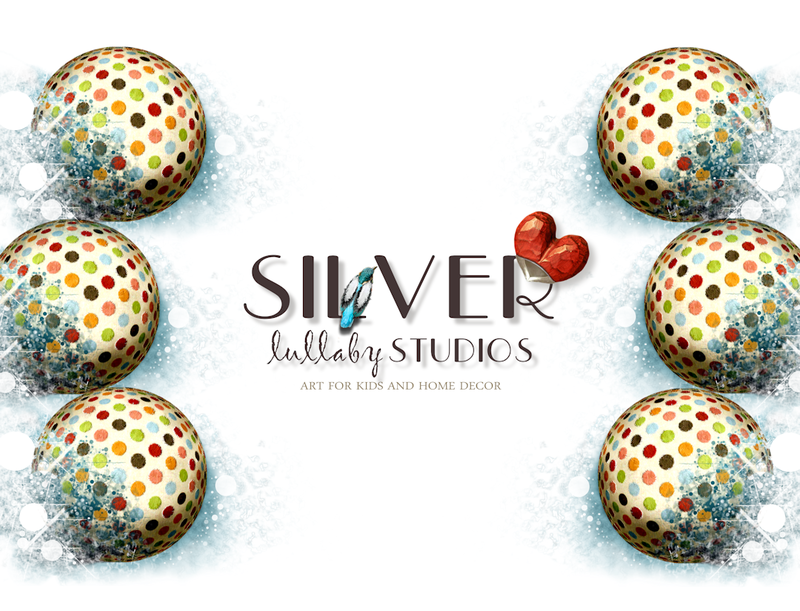 Silver Lullaby Studios was created by Canadian artist, Sylvia who lives and works in Toronto. She creates beautiful art prints for children that are meant to stimulate and inspire! Her whimsical work are perfect for a nursery or children’s room. She has a wonderful Etsy shop where you can browse and buy her colourful art for children. Now that you have heard little about some of my favourite Canadian shops, browse their pages and follow them to always be up to date with their new designs! 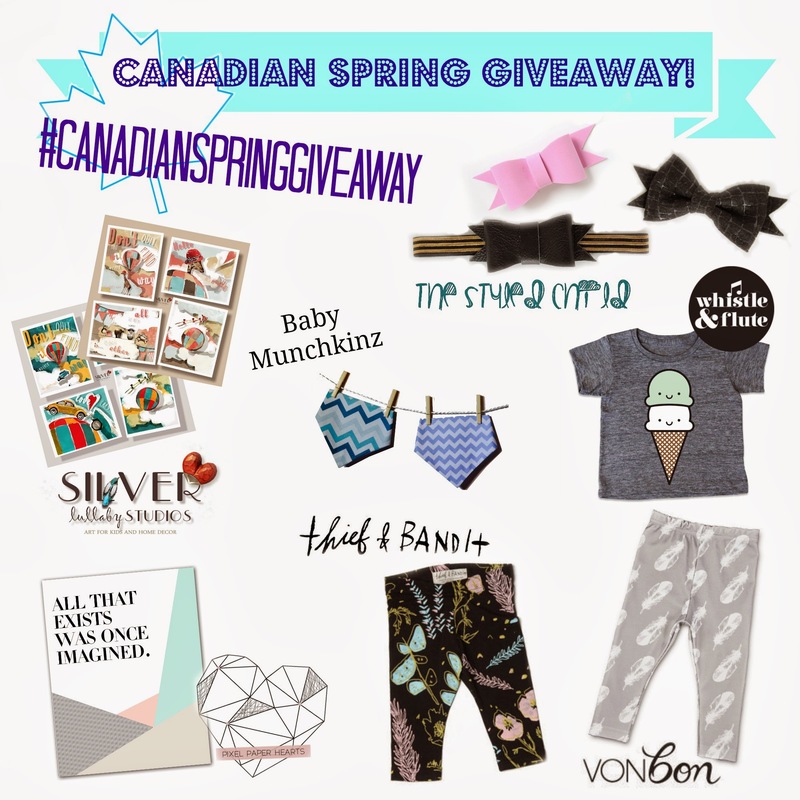 If you love these great Canadian companies as much as I do, you are in luck because we are having an amazing giveaway featuring a prize from each of these 7 companies! 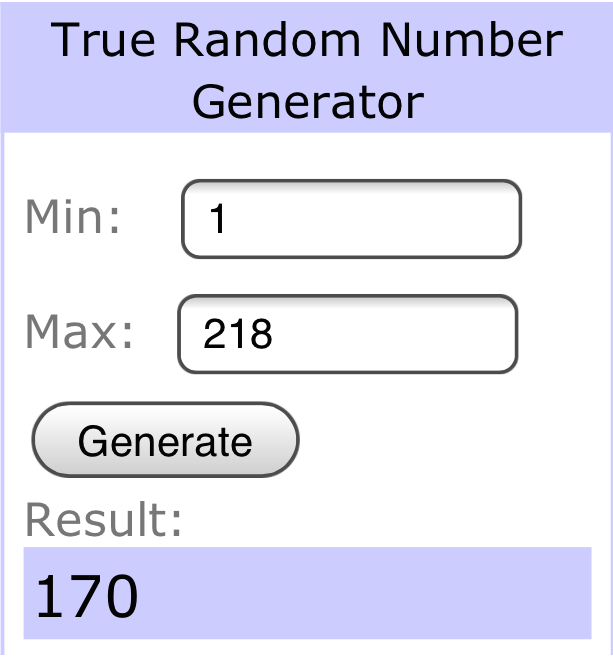 One lucky winner will win all! all of our Instagram accounts! For additional entries you can follow all of our other social media outlets! 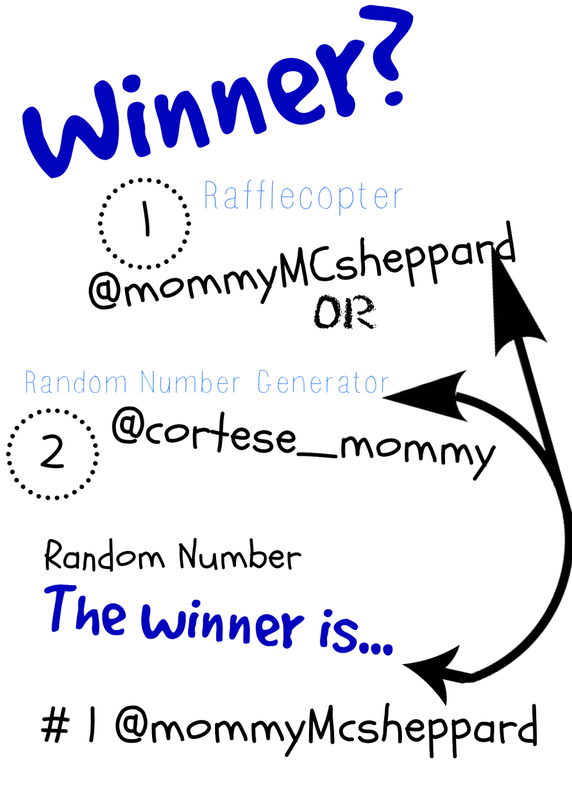 You may enter below for these additional entries! 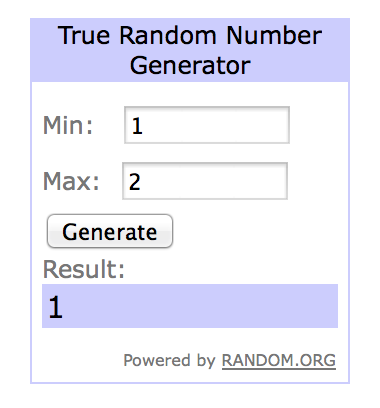 How the winner was chosen!